Hello Steemit community. Between materialism and spiritualism, multiple issues arise around consciousness: where does our soul go after we die? Does our essence disappear when our body dies? These questions are accompanied by a series of literary and cinematographic works that reproduce hypotheses about the slow waves of the brain at a subatomic level that leave the body after death. This was called quantum consciousness - or quantum consciousness. Among the main banners of this movement are the physicist Roger Penrose and the doctor Deepak Chopra, who consider that what is safeguarded in our mind is not necessarily a product of our brain and that our consciousness exists independently of the material substance. 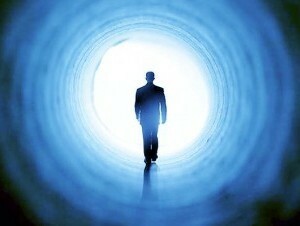 Consequently, the death of our physical body is not the end of our consciousness. However, what are the weak points of this wave? First, the defenders of this movement consider that the personal identity is in the memories, which are recorded in the brain, so that if possible, they can be copied and pasted in a computer, duplicated and implemented in a reborn body. However, memory does not work like a systematized machine: it is a process that is being published in a fluid and continuous way, which depends mainly on brain neurons. Shermer explains that while it is true that memories disappear momentarily when you fall asleep and wake up every morning or when you are under the effects of surgical anesthesia, they return even after a crisis of hypothermia or arrest of blood circulation. That is, when a person's brain is in a state of hypothermia, its electrical activity is stopped and, therefore, it is suggested that long-term memory is stored statically there, in some part of the immobile neurons. However, this can not happen when the brain dies, because when it stops receiving oxygen from the heart, the neurons die and, consequently, the memories stored in the body. Second, another assumption is that by copying the connectoma of the brain - the diagram of neural connections - into a computer or into a physical self of someone revived, it would be like awakening from a long dream. Unfortunately, that is not possible, because "the copy of your memories, your mind or even your soul, is not you. It's a copy of you, just like a twin and no twin looks like your brother or thinks 'Here I am' ". Neither duplication nor resurrection can give an instance to a living being in another plane of existence. And finally, the identity or the self is much more than the sum of the memories: it is the cognitive process of a metaconsciousness -being aware of consciousness. This means that even if it is possible to transfer the memories to another container, the latter would not be our essence either because it is a continuity of the self from one moment to another. our genomes and connectomes can not be duplicated, so we are individuals with a conscience about our mortality and metaconsciousness of what that means. [...] Life is not a temporary stage before the big show afterwards - it is our personal proscenium in the drama of the cosmos in the here and now. Great post. I just give you a follow because I really appreciate and I'm interested in this kind of things. Spirituality is greater than we even imagine. Yes! thank you and welcome. I follow you too. What happens to the light after the light switch is turned off? Kind of the same thing, really.